I had neglected Ladywalk recently, so decided to give it a go today. 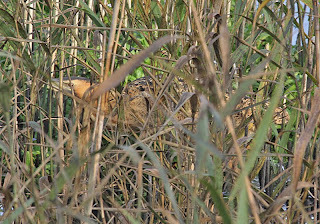 The bushes on the walk down to the hides seemed to hold good flocks of winter thrushes, with Bullfinchs and Great spotted Woodpeckers also showing. A grey wagtail was also seen on the puddles formally known as the fishing pools. 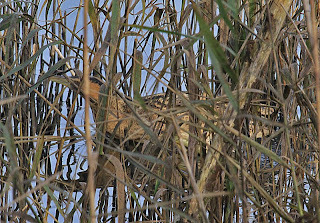 From Hide B I only had to wait a matter of a few minutes before the Bittern was seen creeping through the reeds. 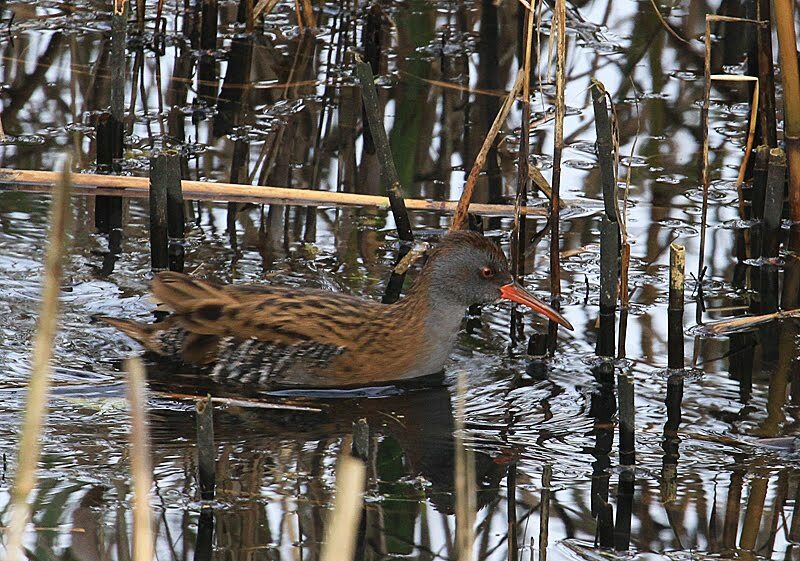 Although it was never out in the open it was still a treat to see such a magnificent bird. 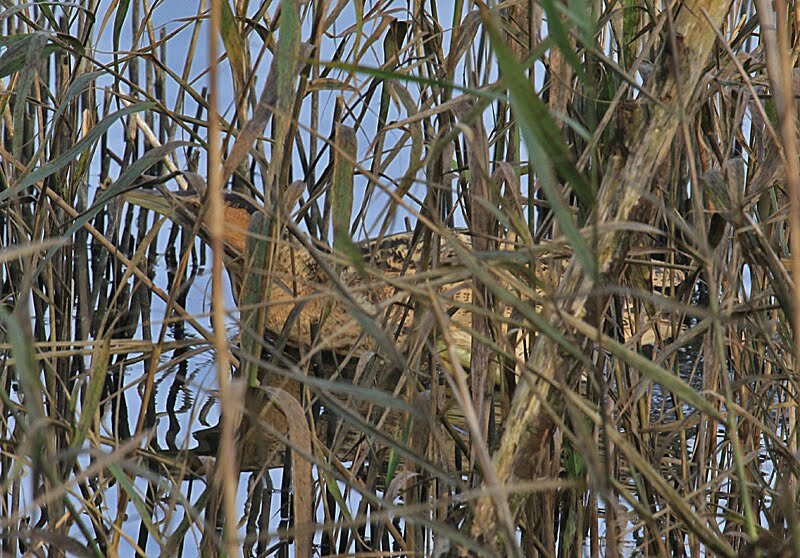 It flew further along the reed bed and showed briefly before disappearing completely for the rest of the afternoon. 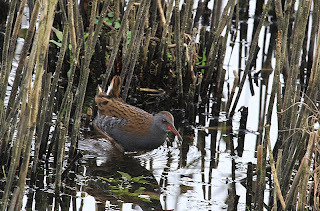 A Water rail was seen moving restlessly in the reeds and a Sparrowhawk was seen at close quarters. 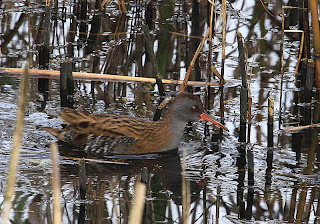 Other birds seen on the reserve included roosting Tawny Owl, and Goosander with Cetti's warbler heard at the North end. 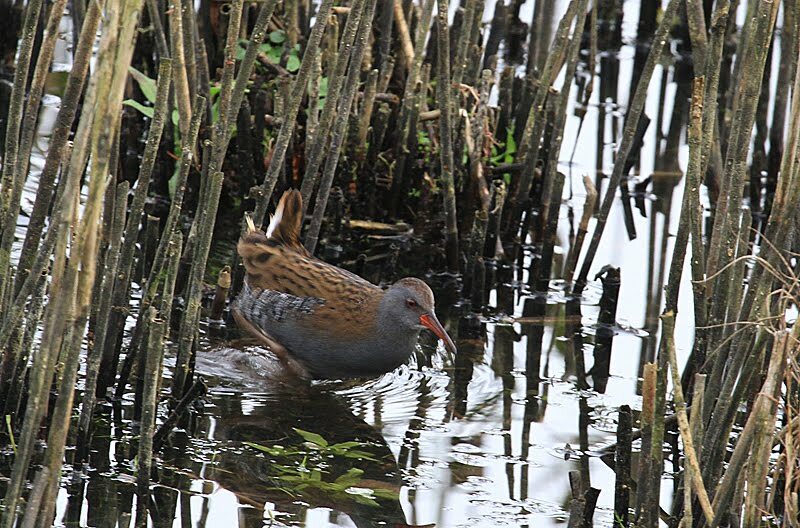 Nice shots Bob.I haven't seen a Water Rail for ages now. Humming bird? I dont think so. 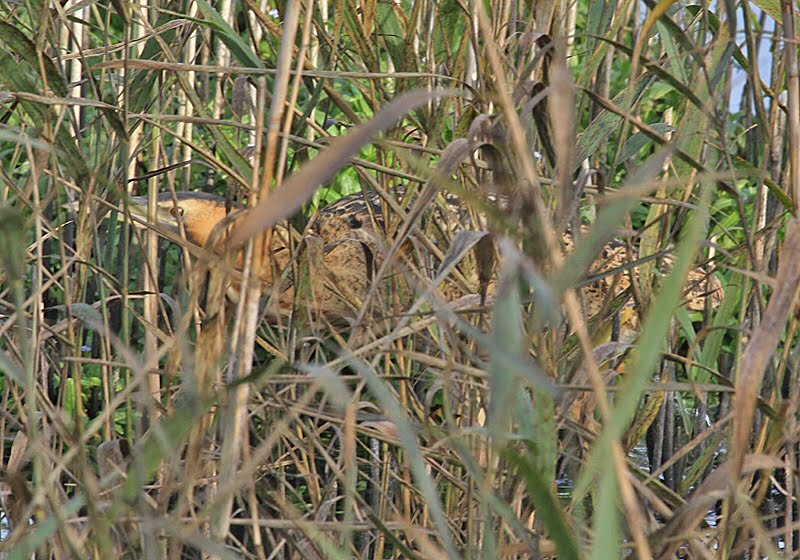 Short eared Owls at Dosthill Lakes, Warks. Squacco Heron, Attenborough NR, Notts.